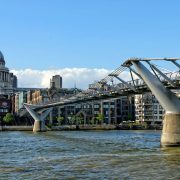 http://thames-explorer.org.uk/wp-content/uploads/2018/02/4394896912_17ff4b96c9_z1.jpg 480 640 simon http://thames-explorer.org.uk/wp-content/uploads/2017/03/TET-logo-300x206.jpg simon2018-03-20 13:09:262018-06-26 11:26:46Congratulations to the winners of our boat competition! 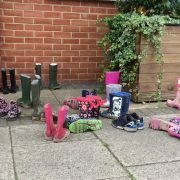 http://thames-explorer.org.uk/wp-content/uploads/2017/08/wellies-2.jpg 608 1200 Heather Hyams http://thames-explorer.org.uk/wp-content/uploads/2017/03/TET-logo-300x206.jpg Heather Hyams2017-10-30 15:50:462018-01-11 12:57:13News Flash - special offer for schools! 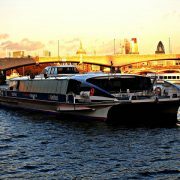 A great find here from the foreshore in central London. 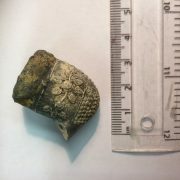 This clay pipe bowl but is surprisingly heavy with what looks like a lead rim running around the bowl edge. Clay pipe manufacture was once a way for the poor to generate money working from home. The soft clay was rolled out into a sausage and pressed between 2 moulds. The skill was to push a thin wire along the length of the stem to make a channel for the smoke, without piercing the side. Look for the manufacturers mark at the bottom of the bowl where the rest is. 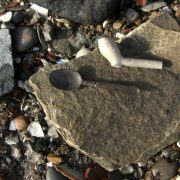 Unfortunately pipe bowls are becoming harder to find on the foreshore as more and more are removed – some being sold for personal gain. 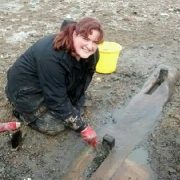 We recommend, hard as it is, that you remove nothing from the foreshore and instead come away with knowledge and experience. 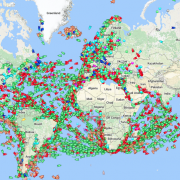 Tribes and Tides is a voyage through prehistory (history with cross curriculum links). 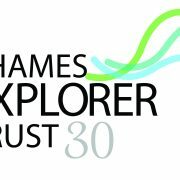 This programme provides an opportunity to observe the local environment and discover the local history of the river and how it links to a wider historical context. To find out more click here.